It’s time to banish those boring socks you got for Christmas and brighten up your sock drawer with these fun and colorful geeky socks! 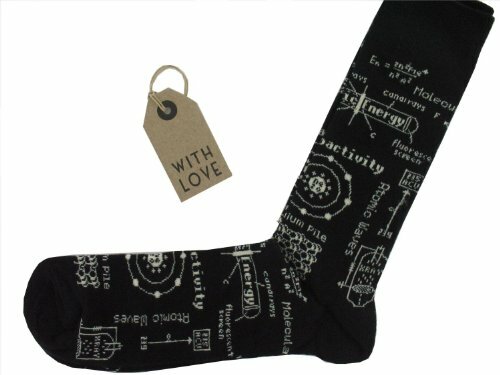 I have no idea why so many people give boring socks as gifts, whether it be a birthday or Christmas present, but if you really need to buy socks for a gamer or geek, find out what they geek out about most and pick socks that they will love. 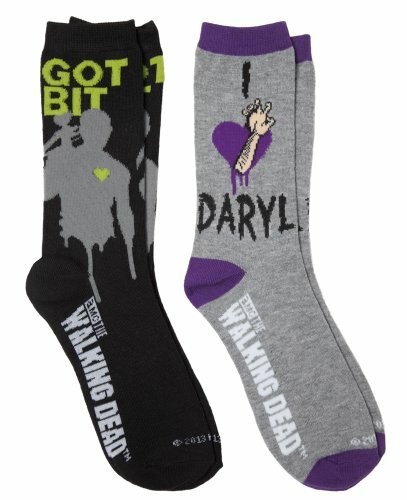 First up, I found a few pairs of socks for gamers. 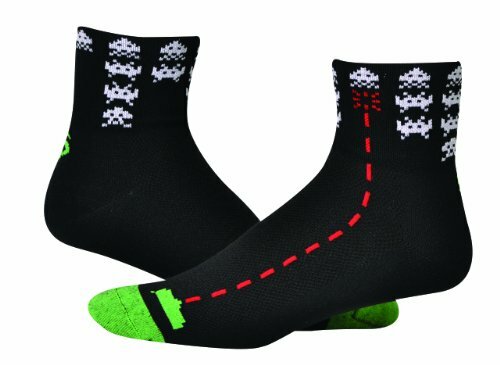 I love Space Invaders so these Space Invaders socks caught my eye straight away. 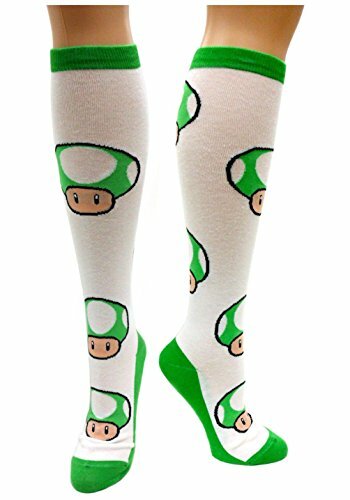 I never played Super Mario though but I’m sure these Green Mushrooms socks would please any lady who loves Super Mario games! Portal 2 is another game I haven’t played yet even though I keep telling myself I’ll try it soon! 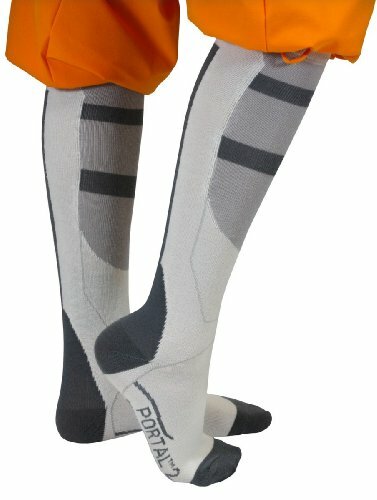 These Portal 2 socks are great – a subtle grey design, they would still be ok to wear in an office environment without raising too many eyebrows! These are all men’s socks but I love the Star Gazer socks. 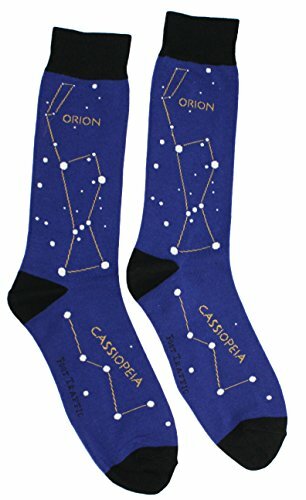 I don’t know many constellations in our night sky but I do know Orion and Cassiopeia which are the two constellations that make up this design. 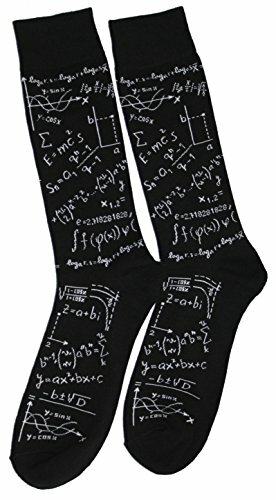 Both the math pair and the physics pair of socks have equations and appropriate phrases on them. I even recognise one or two of the math equations! 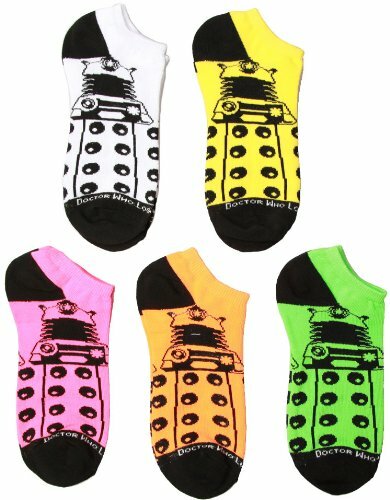 There are loads of TV show tie-in designs but my favorites are the Doctor Who Dalek set – five pairs of low cut socks in bright colors with a dalek design on them. 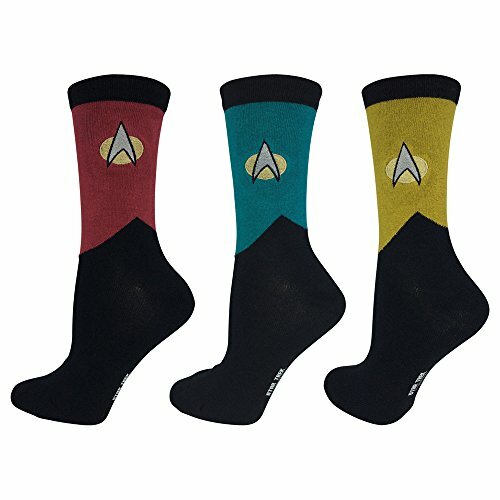 I love the Star Trek The Next Generation sock set too – with their black foot and colored top design, they wouldn’t be glaringly obvious for a guy who has to wear sombre suits to work. If you prefer bright colors and are a fan of Firefly though, the Stay Shiny socks definitely fit that description! The Big Bang Theory socks feature the Rock, Scissors, Paper, Lizard, Spock game that the guys play on the show. Yesterday was a sad day for Star Trek fans everywhere as we heard the news of the passing of Leonard Nimoy, the actor who played Spock and inspired so many geeks to be proud of their geekiness. These Big Bang Theory socks have a certain sadness to them for me now but I’d still wear them with fondness for a character I identified with so much in my youth. 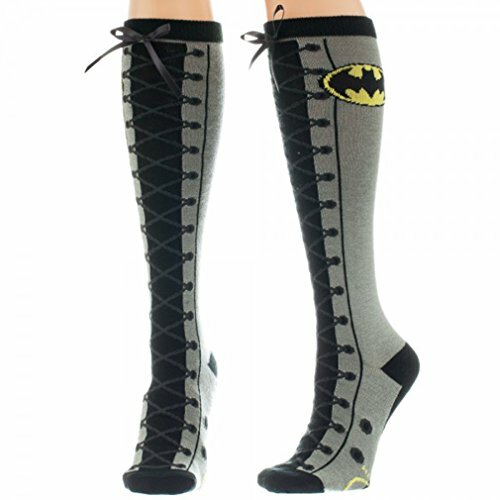 I love the faux lace up Batman socks! They’d look great with a pair of ankle boots I think! 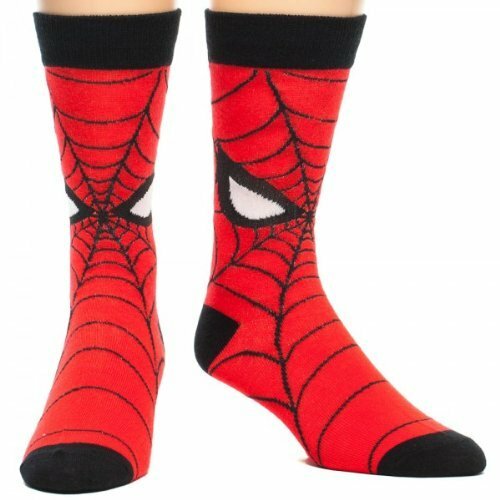 The Spiderman socks are very bright and cheerful red and the design is just classic Spiderman. 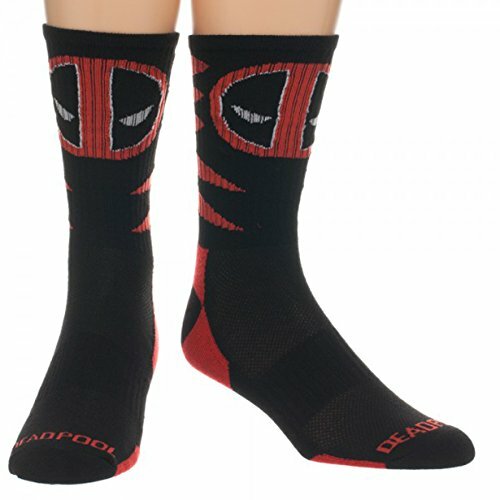 The Deadpool socks are much more subtle if that’s what you prefer. There are loads of Superhero sock designs with a little cape attached which could be a fun gift for anyone who loves DC Comics and Marvel heroes. If you’d like more ideas for fun socks, check out our Socks for Star Wars fans – there were so many designs, I did a whole post of them! 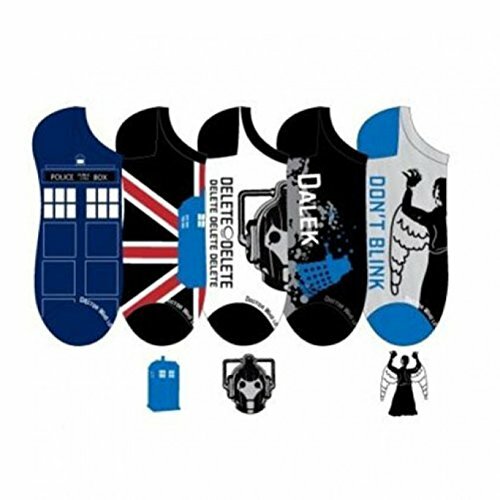 I could have done a whole post of Doctor Who socks too but I thought maybe that would be too much!